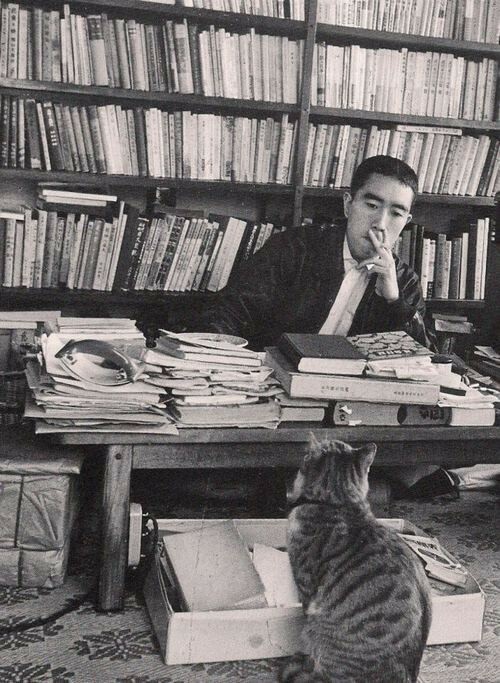 Yukio Mishima (三島 由紀夫, Mishima Yukio) was the pen name of Kimitake Hiraoka (平岡 公威, Hiraoka Kimitake, January 14, 1925 – November 25, 1970), a Japanese author, poet, playwright, actor, and film director. Mishima is considered one of the most important Japanese authors of the 20th century. His avant-garde work displayed a blending of modern and traditional aesthetics that broke cultural boundaries, with a focus on sexuality, death, and political change. He is also remembered for his ritual suicide by seppuku after a failed coup d'état.